Principle based leadership is like setting a deep and strong foundation. The principles you choose to guide you will shape the character and substance of what you decide to do. Whether you are leading a team at work, your family, or an organization in your community, I like these 8 principles. I call them my “Elite 8”. 1. Always Be Honest – In a world plagued with situational morality and dog-eat-dog competition, it is rare to find the totally honest business person or neighbor. Honesty, or lack thereof, is soon found out. There is nothing so valuable as a leader who has a reputation of honesty. Leaders who are honest earn far greater respect; they are sought out, and they create loyalty in their spheres of influence. 2. Forgive and Forget – People make mistakes, decide on poor choices, and sometimes just goof. As a leader, how do you handle those situations? Do you condemn and ridicule or can you forgive and forget. I’ve written about grace becoming one instrument in a leader’s toolbox. 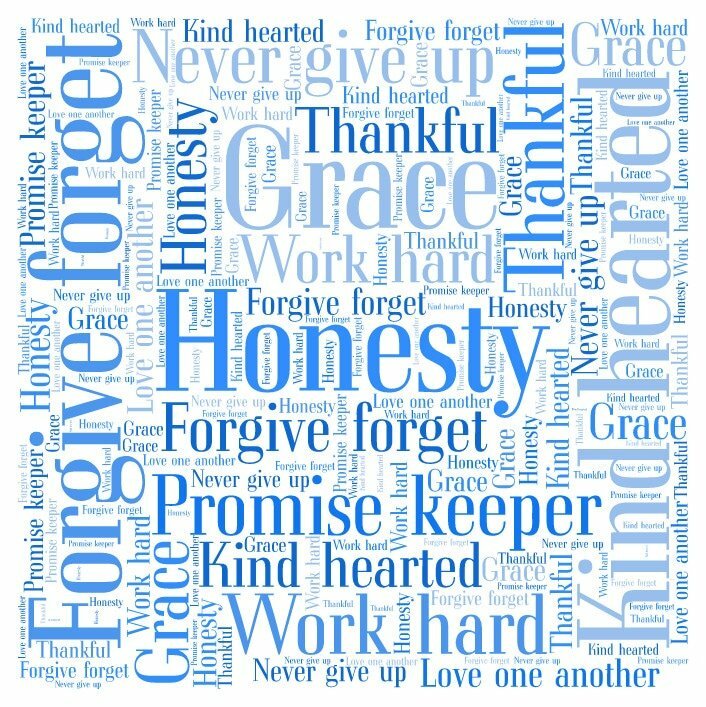 The ability to forgive and forget is the totality achieved with the ability to give grace. 3. Be Kind Hearted – When you are dealing with people one-on-one and face-to-face, do you exhibit a personal warmth? Is there a kind heart that sparks that warmth that is palpable? This is a trait you can neither mask nor fake. Do you have the heart to be a leader? In his book “The Heart of Leadership”, Mark Miller tells a story of a young business man named Blake. Blake is struggling at work with his duties as a team leader. He seeks some counsel from a close family friend. I won’t tell all of the story, but the core value comes down to this simple acrostic. 4. Keep Your Promises – Expectations can make or break relationships. The promises we fulfill serve to grow trust, respect, and reliability. However, broken promises do the most harm. When you promise someone something then fail to deliver, there is a damaging break in the relationship. The next time a situation arises and you must make a promise, the person with whom you broke the last promise will be very skeptical. 5. Work Hard – Every “overnight success” I have ever met or read about worked tirelessly to achieve their status. The equation is really that simple; work hard and achieve or don’t work and flounder. 6. Be Thankful – Giving thanks can do so much to lighten anyone’s load. To your work team, give them thanks and praise for the efforts they show. Give recognition when it is in your power to do so. Also, being thankful helps sustain the kind heart in #3. After all, how can you have a kind heart if you never recognize the good things that might be going on around you? 7. Never Give Up – Persistence usually wins the day. Similar to working hard, being willing and able to forge ahead when all things are not going your way signifies a leader. Turning back or giving up when the first sign of resistance occurs will never get you through. You must stay strong; persevere. 8. Love One Another – I find this principle to be the hardest. In our daily routines, it is easy to cross paths with people we find we just don’t like very much. As a leader you must seek to find ways to build love with those closest to you; the team, your tribe, your family, or your community. The power of love can overcome the worst of conditions. Great achievements come from the love and passion for being together, working a cause, and knowing you are loved. Remember, having principle based leadership is like setting a deep and strong foundation. 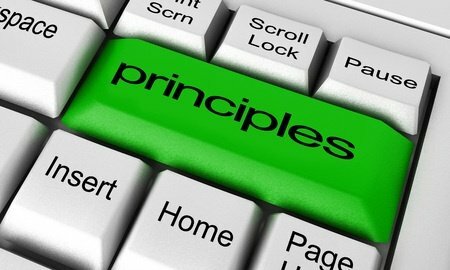 The principles you choose to guide you will shape the character and substance of what you decide to do.